Welcome Home to Waterford Downs! The spectacular one and two bedroom Waterford Downs Apartment Homes in the heart of Creve Coeur, a Saint Louis metropolitan area, are freshly renovated for a luxurious living experience in a tranquil, resort-like setting. Being in the center of it all has never been so relaxing. 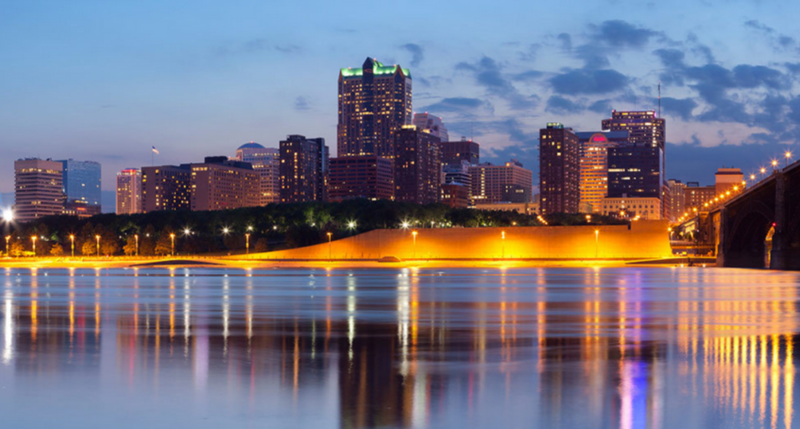 You'll have convenient access to everything Saint Louis, MO have to offer, all without sacrificing on livability. The recent renovation of Waterford Downs Apartment Homes took what were once great homes, and transformed them into truly magnificent showpieces of modern style mixed with classic comfort. Throughout the apartments, you will be captivated by details such as, gourmet kitchens with stone tile backsplash set among rich, dark wood cabinets, polished faux granite countertops, and stainless-steel appliances. Moving through the spacious open-layout, living and dining areas you'll find vaulted ceilings and wide-plank wood floors bathed in warm, natural light as it filters in through the plantation blinds of the oversized windows and private balcony. Set among lush greenery of the well-maintained grounds, the pet friendly Waterford Downs Apartment Homes will elevate your entire living experience. Home is not just where you hang your hat, but where you relax, and play. Enjoy resort-style living every day of the year with amenities like the beautiful swimming pool, relaxing sauna, spacious clubhouse, and the well-appointed fitness center.